Hyundai Elantra was first introduced in the market in 1990. The car made it to India only in the year 2004, in its third generation avatar. Though priced aggressively and came with many features, it did not do very well here. 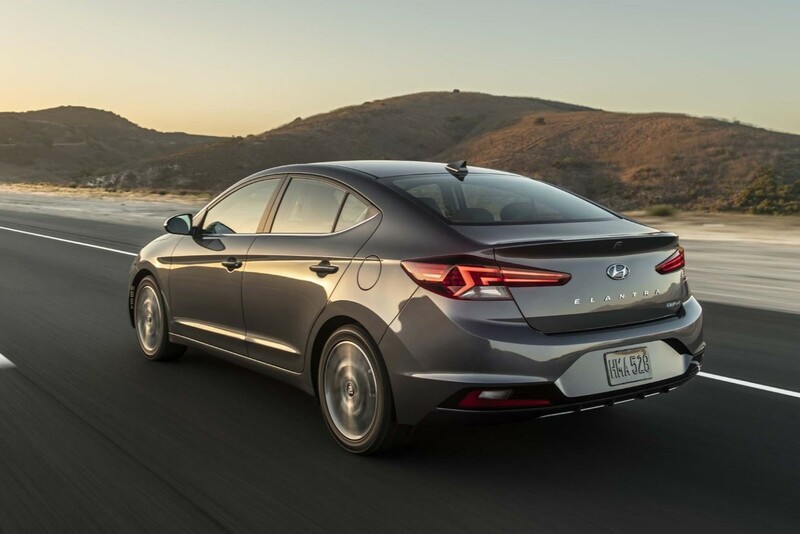 The fourth generation car never made it to our market and Hyundai ended up launching the fifth generation model with the fluidic design, in 2012. This car was a leap forward in terms of design and features it offered, as compared to the third-gen Elantra and ended up performing decently well. Looking at its performance, Hyundai decided to bring the all-new sixth-gen model to India as well and launched it in the year 2016. The new car again came feature loaded with some very exciting engine and transmission combinations. 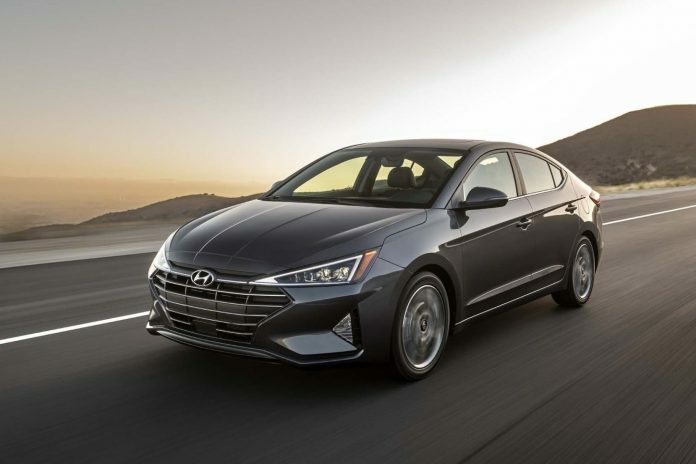 Now, Hyundai has given a facelift to the Elantra sedan and it was unveiled yesterday in the USA. The car, though just a refresh, appears to have received some radical design updates both on the front and rear. 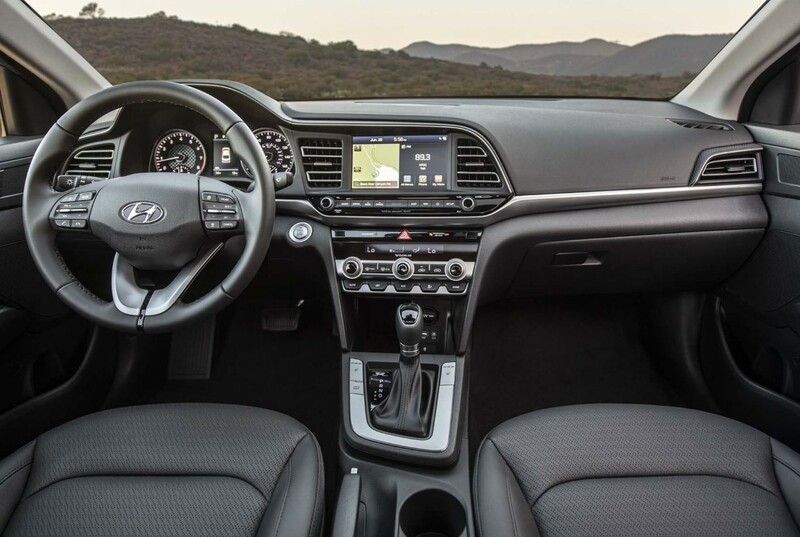 Additionally, Hyundai has also added some security features and creature comforts to the already loaded car. We need to see when will this version makes its way to our shores. 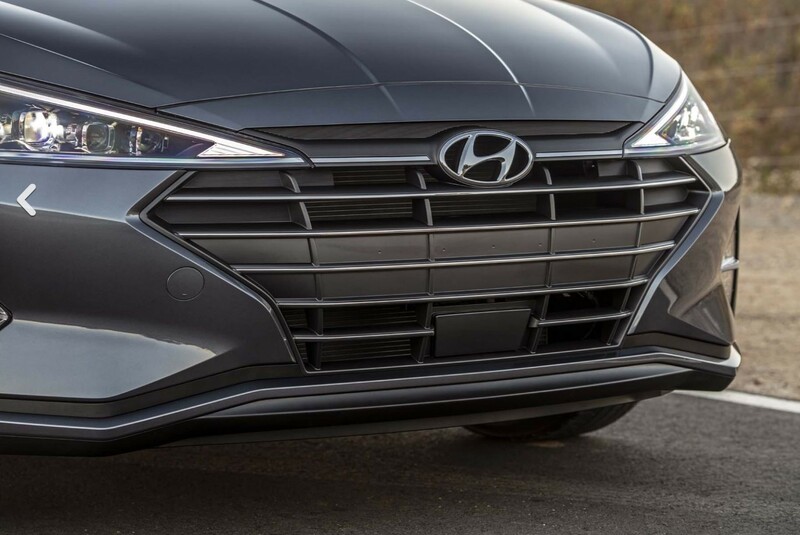 The first change to be noticed is the all-new grille following Hyundai’s new cascading design pattern. This is very similar to the one seen on new Verna & Creta. The front is way more angular and sharp than the current generation car. The car will feature all new triangular headlamps which add to its sharpness. The headlights have DRLs and houses turn indicators as well. The front bumper is also completely redesigned, housing the all-new triangular fog lamps and a silvery lip running across its full length. On the rear, the car gets all new slimmer wraparound LED tail lamps. The boot lid gets a new design and now has Elantra written across it, a cool new addition. The rear bumper is also newly designed and will house the number plate now. It will also house the reverse lamps, fog lamps and big reflectors in it. The overall design has become very aggressive and the car looks really menacing. Nothing much has changed on the sides apart from the section near the new tail light and the redesigned alloy wheels. On the inside, the first thing to notice is the all-new instrument cluster. It now gets a chequered flag finish in the centre of the two meters, giving it a sportier look and also gets a coloured MID. The chequered flag finish may only be available on the RS/Sport/Turbo model which, unfortunately, we do not get in India. There have also been some tweaks to the centre console and it now features a new look of the buttons under the infotainment system. The AC console also features new dials and new buttons. There is a slight redesigning done to the AC vents as well. The car now features a wireless mobile charger, similar to the other latest launches from Hyundai. There have been a lot of security features available on the car like a forward-collision warning with automatic emergency braking, blind-spot monitors, lane departure warning with active lane control and a rearview camera with cross-traffic alert but, we do not expect a majority of these to make it to our shores. We will continue to get the standard features like multiple airbags, ABS+EBD, ESP, Hill Launch Assist etc. among others. We expect the car to remain more or less the same mechanically as the current one when it makes its entry into our market. It will get the same engine & transmission options. There is a speculation that the car will get a mild hybrid tech as an option, we will have to see how much of a truth this is. In India, the car is currently offered with a 2.0L petrol engine producing 152PS power and 190Nm torque mated to a 6 speed MT & AT gearbox. There is a 1.6 diesel also on offer which produces 128PS power and 260Nm torque. It comes mated to 6 speed MT and AT gearbox. The car has now made its world debut and we expect it to first make way to the western markets as well as Korea. We may only get it in India sometime next year and will be pleasantly surprised if it comes earlier. There is no word on the car from Hyundai India at all currently. 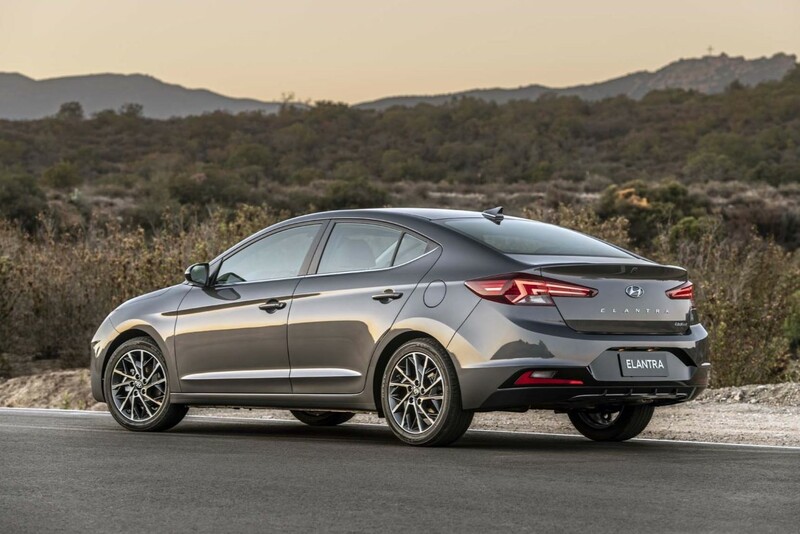 Once launched, it will definitely help Hyundai to compete more aggressively against its key rivals in the segment, the Toyota Corolla and Skoda Octavia, here in India.